Current research in integrative medicine has shown that a dynamic systems approach to rehabilitation can play a significant role in enhancing functional outcomes for people with stroke, MS, Parkinson’s and Post Polio Syndrome. In this course, integrative techniques -- such as tai chi, yoga, health-focused meditation, and acupressure -- along with traditional neurological methods such as soft tissue techniques to reduce tone, trigger point and myofascial release, and lymphedema massage for the swollen upper extremity patients; are incorporated with traditional western medical treatments. Participants will leave this course with a wealth of ideas to take to their clinics for addressing the obstacles that people with neurological disorders often face. You will feel confident with modifying these activities so that even your lower level patients can participate and benefit with measurable functional outcomes. Combine fifty four years of clinical experience with expertise from over one hundred evidence based research articles and you have a recipe for an advanced shoulder course providing the most up to date practical evidenced based information. This hands-on course will enhance your expertise in examination, manual therapy, and reasoning skills, thus providing you with the expertise to develop advanced therapeutic exercise programs for shoulder dysfunction. 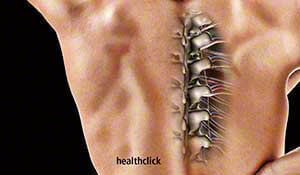 Treating thoracic spine dysfunction can often be very challenging. A thorough understating of the interrelationship between the cervical/thoracic region, thoracic region and shoulder, thoracic spine and ribs as well as the thoracic/lumbar regions is necessary. This course will provide you with the information needed for a good foundation to develop an appropriate evaluation and treatment process for thoracic spine dysfunction. Clinicians will be prepared to utilize a combination of manual therapy, joint mobilizations, muscle energy and targeted exercises to develop a comprehensive program that produces positive functional outcomes. This two-day, intermediate level course will provide the clinician with the tools necessary to make appropriate decisions in the ICU and acute care environments. The core principles are introduced so that clinician can acquire specific information on a variety of topics in order to effectively manage and progress patients with varying degrees of involvement. Specific details on how to work with tubes, lines, and other medical equipment will enhance the clinician’s ability to feel confident. Tools such as the ABCDEF bundles and other evidence-based assessment and treatment tools will be reviewed and utilized in lab sessions. In addition, clinicians will also learn proper management strategies for the cardiac and pulmonary patient and hands on techniques to improve function. 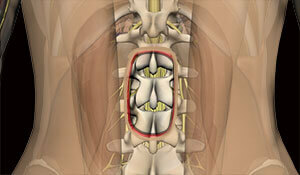 An understanding of the functional anatomy and biomechanics leads the way to improving cervical spine disorders. This course will provide you with the tools needed to evaluate and treat common cervical spine disorders in a biomechanically smart approach. The evidence based approach will provide you with better outcomes and function. Many clinicians are uncomfortable performing a differential diagnosis examination on the foot and ankle. However, if you are provided with a systematic approach to the functional mechanics of the foot and ankle, you will be better prepared to identify the source of dysfunction--dysfunction that can lead to problems throughout the kinetic chain. This course provides you with the skills necessary to prepare an organized approach to assessing the foot and ankle, developing clinical reasoning skills, enhancing manual skills and optimizing clinic visits to get results. Left untreated a hip injury could manifest itself into more serious complications and over time lead to a domino effect of problems throughout the musculoskeletal system. This course will provide you with skills necessary to perform a differential diagnosis examination and identify specific hip disorders in a timely manner. You will be better prepared to develop an effective treatment plan for obtaining optimal biomechanics and function and preventing the development of problems in other parts of the body. Last year approximately 232,000 new cases of invasive breast cancer were projected to be diagnosed. Given this statistic it is likely that at some point in your therapy career you will treat a patient with a breast cancer diagnosis. 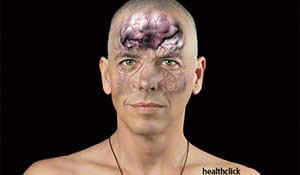 Do you know what the common complications are from chemotherapy? From surgery? Do you have a thorough understanding of the multiple physiological systems that are affected with cancer treatment? How will this affect your rehab plan? This course will expand your clinical knowledge in the areas of differential diagnosis, treatment, side effects and surgical procedures. You will also be shown how to develop an appropriate time sensitive program that will result in positive outcomes. This continuing education course on the lumbar spine and pelvic girdle focuses on movement dysfunction and working with the neuromechanical and biomechanical systems to restore function. Incorporating multiple systems for recovery enhances the body?s ability to work synergistically which will improve overall function. In this course you will be equipped with resources and skills that will lead to better outcomes when working with the lumbar spine and pelvis, and you will also gain the benefit of utilizing techniques that can be incorporated with other movement dysfunctions. If you have an understanding of the physiological impact of cancer then you can develop a comprehensive approach to obtain functional outcomes. This continuing education course will provide you with the underlying basis of how and why you should treat specific diagnoses with specialized clinical skills. A rehab professional will learn how to effectively make decisions on the most appropriate assessment and treatment approach. 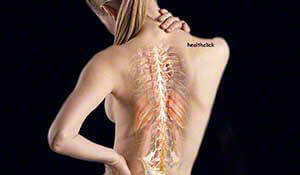 There are approximately 11,000 to 12,000 new spinal cord cases each year in the United States. 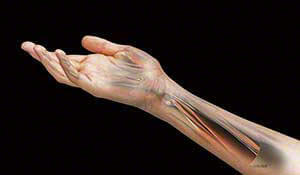 Understanding this, will you be the therapists equipped to help these patients achieve their maximum functional level? In this course, you will learn how to find function at levels where you thought there was none. You will understand how the current research and new clinical techniques can affect your patients’ functional outcomes. 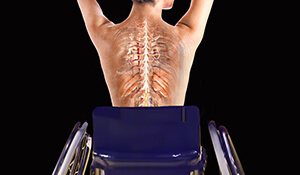 When you leave this course you will be envigorated to approach the treatment of spinal cord injury in a brand new functional and more effective way. Determining the cause of a patient’s imbalance is just as important, or in some cases more important, than providing treatment for imbalance. This advanced course helps the medical professional determine the cause of imbalance, employ appropriate outcome measures, and implement the appropriate treatment. All examination and intervention strategies discussed are evidence-based and relevant to the patient with balance dysfunction. Vestibular, neurological, and orthopedic causes of imbalance will be discussed, including pathologies such as stroke, Multiple Sclerosis, Parkinson’s Disease, cerebellar dysfunction, total joint arthroplasties, lumbar spine dysfunction, and vestibular dysfunction. 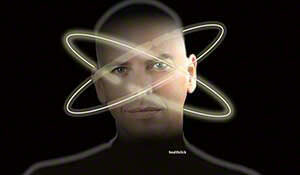 Cancer rehabilitation encompasses the mind as well as the entire body. 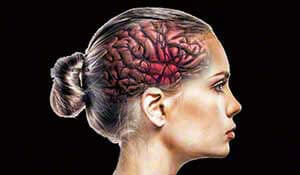 Both psychological and physiological factors are involved. As a therapist you need to understand how the the body works in optimal conditions and in compromised situations. An understanding of how the body responds to specific cancer treatments and the associated response time will ultimately affect your rehab program and plans. This knowledge will provide you with the tools needed to successfully encourage and treat a patient throughout the continuum of care and enable you to reach measurable functional outcomes in a timely manner. Numerous treatment approaches and recent advances in research are integrated into this course to provide the clinician with a diverse array of options to help optimize biomechanical function and functional ability. This intermediate-level course provides an in-depth presentation on the successful management of elbow, wrist and hand injuries. 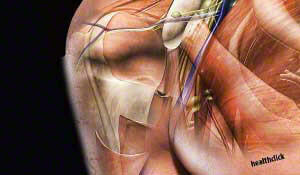 Discover the essential anatomy and biomechanical contributions to optimal healing and function. A comprehensive approach to enhancing evaluation skills and tools to understand common surgical procedures, will be presented. Specific laboratory sessions will provide expert feedback from the instructor on the key elements for effective evaluation and treatment techniques. This information will contribute to the overall understanding of how to appropriately develop rehab programs that produce optimal functional results. As a clinician, what can I do first with a patient being treated for mechanical lumbosacral region pain in order to provide the best outcome possible for him/her? In other words, what gives me the best chance to provide the most effective and prompt care with my first interventions in the treatment of mechanical lumbosacral region pain? This course will help to answer this question, as you will learn the manual and clinical reasoning skills necessary to restore function and decrease pain in these patients. 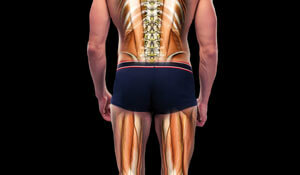 The overall number of cervical and lumbar spine surgeries is increasing by the thousands each year. Learn in detail about the mechanical and physiological changes that occur with many different spinal surgeries and how postoperative therapy can build upon the surgical corrections. You will leave this course with an understanding of physiological changes that occur post-surgically and how and when to apply specific techniques to enhance function and decrease pain. A comprehensive understanding of the normal biomechanics of the shoulder girdle provides the foundation for a well-balanced evaluation and treatment program. This course delivers evidence-based and clinically efficient information from a master clinician with more than 37 years of experience. Learn how to effectively assess for dysfunction in a variety diagnoses and develop the most comprehensive rehab program for the best functional outcomes. Thinking outside the box is essential when working with patients with neurological disorders. Combining everyday functional activities and sports related movements can improve overall functional movement. This course will enlarge your understanding of how to incorporate appropriate progressions of movement into the rehab program and thus build upon a foundational base of strength, flexibility, coordination and endurance. This course will highlight the risks and benefits of early sport specialization in pediatrics and how care differs from the skeletally mature adult. A focus will be on the science and art behind performing a comprehensive evaluation and creating a well-rounded, complete plan of care for overhead athlete in a value based healthcare system. Participants will receive the latest research on Tommy John repairs for UCL tears, shoulder labral pathologies and pediatric diagnoses. Over 40% of the class is spent hands-on with lab session where clinicians are practicing evaluation skills, manual skills and advanced therapeutic exercises that can be utilized the next day in clinics with your athletes. This course will teach you how to enhance your differential diagnosis skills by identifying specific dysfunctions within the lumbar spine and the lower extremities. Manual therapy techniques, combined with a thorough functional movement analysis, will enable you to effectively identify faulty movement patterns within the lumbar spine and lower kinetic chain. The treatment techniques, manual therapy skills, and critical thinking concepts presented in this course will provide you with the tools necessary to address musculoskeletal imbalances and develop a comprehensive rehabilitation program to optimize healthy and efficient functional movement patterns. 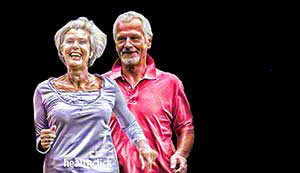 Neurological gait disorders can be debilitating. Limited motion in the elderly can lead to additional life-threatening conditions and even death. Understanding the underlying multifactorial causes of diminished gait will provide the foundation for developing an effective program for your client to maximize mobility. Coordinating rehab activities to enhance motor relearning and mental processing will provide the client with a progressive treatment approach leading to a higher functional level. Mobility is one of the most important factors when dealing with post-op fracture repair. Understanding the mechanisms of injury, surgical procedures and healing process will provide you with the ability to develop an appropriate progressive rehab program. Learn the essentials in this course to enhance, mobility, proprioception, motor skills and overall functional ability. 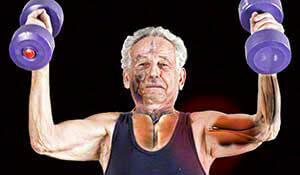 This geriatric continuing education course takes you through a logical progression of how to treat musculoskeletal and neurological pain, train the nervous system to move the body without recreating the pain response, and progress the patient through functional gains as he or she continues through the healing process. Discussion will include age-related changes and special considerations needed for this clientele. Extensive hands-on laboratory sessions will enhance your manual therapy skills to promote soft tissue changes and improve function. Participants that attend this course will be confident in developing a comprehensive program that addresses the functional challenges that often occur with the aging population. Proper Posture is the result of numerous anatomical and physiological components that contribute in varying levels to the end result. As we age, this delicate balance is challenged, often resulting in deficiency which manifests itself as improper posture. This course will utilize a joint by joint approach from the foot upwards differentiating either a mobility or stability deficit (or both). The clinician will learn to treat the entire patient from a postural standpoint using a holistic approach of functional based manual therapy techniques, therapeutic activities designed to mobilize the patient in weight bearing and reflexively stabilize them in functional movement patterns. One out of three adults over age 65 falls each year, which translates to millions of older adults experiencing a fall and possibly suffering from a lifelong disability. A rehab specialist properly trained in geriatric care can significantly impact the life of the geriatric patient for fall prevention, strengthening, and safe mobility. Attend this course and learn rehab techniques that will benefit this aging population and positively impact an older person’s quality of life. 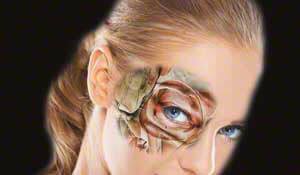 Surgical techniques are constantly changing. New procedures and interventions are created to optimize the surgeons intervention. Is your rehab program for post surgical cervical and lumbar spine patients also changing and adapting to address these new surgical procedures? This course will deliver up to date knowledge on the latest surgical techniques used for cervical and lumbar surgeries and the optimal rehab progressions to maximize the surgical outcome. This course combines online training with a one day hands on lab portion designed to maximize your learning experience. The increase in adolescent participation in competitive sports has given rise to an ever growing population of young adult with orthopedic injuries. These injuries due to the age of the individual can be have lasting impact of the quality of life of the athlete if they are not properly managed. This course will identify the latest evidence on tools to prevent, diagnose, and treat injuries unique to the youth athlete. Special emphasis will be spent on understanding the effects of maturational status on motor planning and injury risk. Maximize your rehab potential by utilizing the latest evidence-based lymphedema treatment techniques and products in order to develop appropriate programs for your patients so they can have a more functional life. Managing patients with neck pain can be confusing and frustrating for novice and experienced clinicians alike. In this one-day live course with online home study, Dr. Durall will provide a systematic and integrative approach that demystifies the screening and treatment process, reduces frustration, and most importantly helps clinicians manage neck disorders with greater confidence and proficiency. Master your foot and ankle evaluation and treatment techniques. Become an expert clinician when it comes to differential diagnosis of foot and ankle dysfunction. This course will teach you to master your examination and treatment skills to achieve functional outcome success in a shorter period of rehab time. 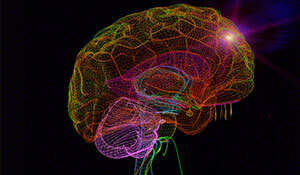 One out of six people in the United States suffer from a neurological disorder. 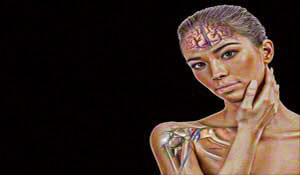 Each neurological patient is an on individualized journey to improve their function. As therapists, our intervention is essential in the motor learning process to engage the patient to learn, re-learn and develop greater motor control for this population. In this engaging course, we explore the latest evidence-based research and clinical motor learning theories that are being practicedin today’s healthcare environment. Unique pediatric, adult and geriatric strategies will be taught to deliver better patient outcomes in a value based healthcare environment. The outcomes achieved from performing Myofascial release techniques are largely dependent on the skill of the clinician performing the technique. This course is unique because it combines manual techniques with the training to enhance kinesthetic perception. These two very important components work together when performing direct and indirect techniques for membranes, tendons, ligaments, dura, organs, ribs and essentially all parts of the body. A review of current evidence-based research will reveal the theory behind the application for specific disorders. Another unique aspect of this course is that it teaches not only how to perform the techniques but also how to incorporate the therapist’ s sense of touch, thus enabling him/her to identify deep tissue movement and obtain desired outcomes. 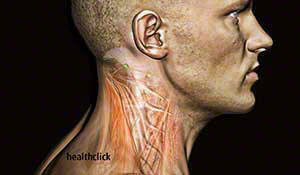 Pain is often the symptom associated with a wide range of underlying physiological disorders. Traditional medicine frequently relies on prescription pain killers to assist with pain management, as demonstrated by more than 23 million Americans who currently abuse opioids. This course will demonstrate the effectiveness of reversing the pain pathway cycle through hands-on myofascial techniques. By combining evidence-based information with clinical efficacy and hands-on training, you will be able to utilize the most effective techniques to decrease pain and increase function. 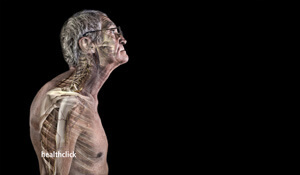 Optimize your understanding of comprehensive examination of older adults with orthopedic, neurologic, and cardiopulmonary diagnoses as well as other pathologies with an emphasis on integrating findings into the development of the plan of care. Taping techniques are an extremely valuable resource for therapists, both in the clinic and on the playing field. This evidence-based course provides you with the tools needed to critically think through taping solutions to achieve the desired results, whether it be joint protection, injury prevention, muscle facilitation and/or stability. 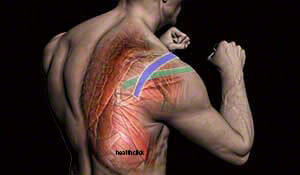 Learn the top 50 sports/kinesiology taping techniques to enhance your overall treatment approach. Many physical limitations resulting from neurological and orthopedic conditions can be minimized and even eliminated when proper strengthening and coordinated activities are performed. Learn how to incorporate the concept of Pilates into a comprehensive rehab program. 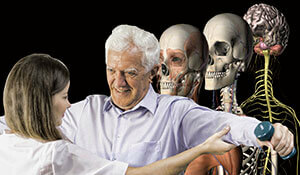 This course will help you enhance your patients’ functional motion and strength to perform daily activities. The combination of self paced learning and an intensive one day hands-on course will give you a comprehensive treatment approach as well as some sore muscles. 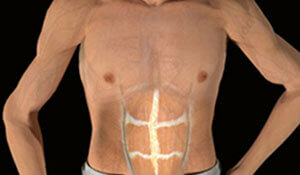 The Pilates DVD will also serve as a great reference or rehab tool that you can use and benefit from indefinitely. Enhance functional mobility and gait by combining PNF techniques with a comprehensive, coordinated approach to traditional rehab methods. This course offers a host of techniques for determining appropriate treatments for the facilitation of coordinated movement and function. Course participants can immediately apply the techniques learned in this PNF seminar to their orthopedic and neurological patients. This comprehensive, evidence-based and interactive course combines running biomechanics, exercise physiology, and orthopedic and sports physical therapy principles in order to formulate an easy-to-understand evaluation and treatment approach that can be immediately utilized with your patients and clients. The lecture sessions lay the foundation for understanding running mechanics and present the latest evidence on treating running injuries. The laboratory sessions will teach you the fundamentals of evaluating an injured runner, performing a 2-D running gait assessment, and incorporating the latest evidence-based treatment technique. This course highlights the emerging science of running gait retraining and provides in-depth pointers on how to best implement these techniques with your patients and clients. For athletes to perform their best, they need to train for optimal muscle function. Speed and agility are two of the most desired qualities in sports, and therapists with the ability to determine deficits in mechanics can appropriately direct an athlete toward training that improves speed, agility and overall performance. This course is unique in that it combines clinical expertise with scientific research. In this course, you are taught how to take complex sport movement patterns and break them down into an easy-to-follow format. After this course, participants will be able to help athletes develop a more explosive first step, increase speed and improve their ability to rapidly change direction. This information can be applied to all athletes, including youth, high school, collegiate, recreational, and professional. 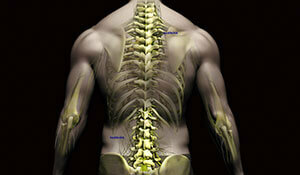 There has been a paradigm shift in the rehabilitation of spinal cord injured patients. There are now activity-based recovery strategies that help sensory-motor function regain the capacity to generate real function. Learn th elatest evidence based techniques to maximize your spinal cord patient treatment program. 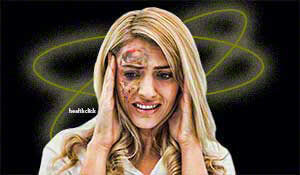 More than 40% of Americans will experience dizziness that is serious enough to seek medical treatment. Become a master at differential diagnosis for the evaluation and treatment of dizzy patients. In this course, you will learn to treat based on what is “driving the dysfunction,” not the diagnosis alone, and by incorporating what you have discovered from careful history, your analysis of subjective complaints, and differential diagnosis by testing key structures. Incorporate your clinical findings into a comprehensive program to stop your patient from spinning! 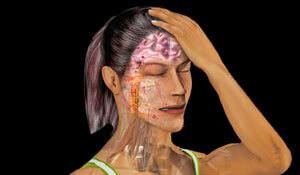 A Concussion is a mild injury to the brain and can have significant consequences if not properly treated. This sports concussion course will outline a evidence based treatment “trajectory” for therapists, detailing a step by step process for the management of patients with sports concussions. These trajectories include; cervical, ocular, vestibular, post-traumatic migraine, cognitive/fatigue and anxiety/mood and when identified early can facilitate active rehabilitation and return to sport. This course will review history of treatment of concussions with most current “best” practices as well as pathophysiology and recent advances in diagnosis and management. 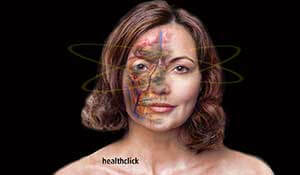 Over 750,000 people suffer from a stroke each year. Timing of aggressive treatment approaches in combination with innovative rehab techniques is essential in order to minimize physical disability. 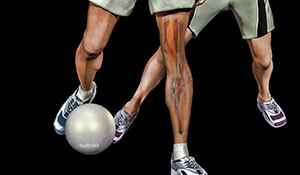 Learn how to optimize treatment and outcomes and improve motor control and function. 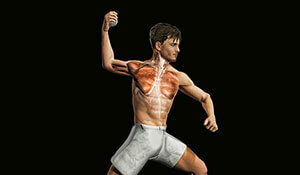 The application of PNF facilitation techniques enhance muscular activation directly and indirectly through the principle of irradiation. Knowing how to utilize indirect, as well as, direct treatment techniques is an essential tool for all therapists, as it enhances patient engagement and improves functional movement outcomes. Clinicians and patients see immediate results which encourages them to build upon the gains they achieve during subsequent visits. The information presented in this course is applicable to a large variety of diagnoses including orthopedic, neurological, geriatric and general debilitated patients. 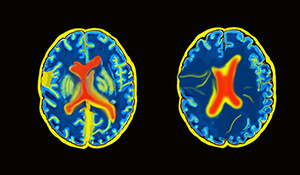 There has been a recent increase in the incidence of strokes in the younger population, with respect to shorter hospital stays, decreased reimbursement and limited long-term rehabilitation options, a young stroke victim can lead a lifetime of disability with significant financial burden and isolation. This course will discuss the need to optimize care from the acute care setting to the home care setting to improve a young stroke patients quality of life. Important concepts will be presented to prepare the young stroke patient on how to reenter the community and live a productive quality of life. Identifying the optimal treatment progression for a complex patient is essential in today’s health care environment. Therapists must combine all of their skills, whether neurological or orthopedic, in order to develop progressive programs that are efficient?and safe?for geriatric clients. This intermediate-level course begins with more than two hours of evidence-based information, a preliminary lead-in as to how to treat your complex geriatric patient. 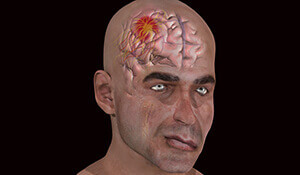 Thirty percent of those with mild traumatic brain injury have a prolonged recovery. Co-morbidities also complicate the rehabilitation process and make efficient intervention challenging. This two-day advanced evidence-based course is designed for physical therapists who have a basic knowledge of mild TBI and vestibular rehab and would like to improve their skills. The course goes beyond introductory concussion courses to explore the difficult differential diagnostic process that is required with complex mild TBI. This intermediate level, one-day course challenges the clinician to focus on coordinating breathing control and core stabilization to optimize functional mobility and performance. 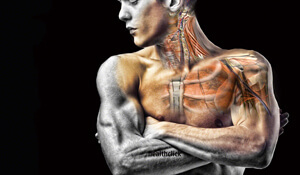 The Neuromuscular techniques that enhance the synergistic function between breathing patterns, stabilization and coordination can be applied to patients in a variety of settings from acute care to the pro athlete. Over the last three decades there has been an increase in participation in sports with female athletes which also lead to an increase in overuse and acute injuries. 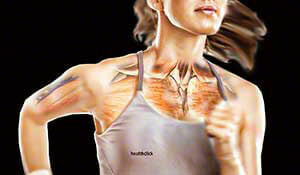 Female athletes will experience a higher rate of specific musculoskeletal injuries than their male counterparts. This course will provide you a fundamental understanding of the common injuries that female athletes present with and how to help prevent and treat them. When should you suspect intra-articular hip pathology? Do you know how to perform the correct tests and techniques to find the true source of hip dysfunction? This CME course will assist you in developing your differential diagnosis skills by mastering your hands on evaluation techniques. An immense knowledge of recent evidence based research is discussed to support a the validity of certain techniques and procedures. Clinical research and reasoning will provide you with the tools to master proper rehab of hip pathologies. Learn to improve patient outcomes with significantly less treatments! Hands-on experience is the only way to improve your clinical skills, especially when working within the complex biomechanics of the lumbar spine. This course not only examines the fundamentals of motion and musculoskeletal synergy in the lumbopelvic region, but also provides extensive hands-on techniques to improve your assessment and treatment skills for functional improvement in the lumbopelvic region. Discover the most effective treatment techniques to optimize results for your spinal surgery patients. This course provides the most up-to-date surgical procedures, evidence-based information and clinically relevant techniques to maximize functional outcomes. The manual therapy techniques presented, as well as the current protocols discussed throughout this course, will enhance the clinician’s ability to immediately apply these skills in the rehab setting. How comfortable are you in managing a post-surgical patient? Are you dependent on generalized protocols, or can you think outside the box? Therapists who are empowered with the knowledge of healing properties of tissue, as well as the evidence to support specific treatments, find that clinical reasoning produces much better outcomes than standardized protocols. Attend this course to enhance your knowledge and rehab skills for the post-surgical elbow, wrist and hand patient. Understanding Posture and the elements contributing therein can be the gateway to unlocking optimal biomechanics The effective intervention for lumbopelvic dysfunction must be organized around an understanding of static and dynamic posture. Intervention should integrate the anatomic/physiologic components of both biomechanical and neuromechanical dysfunction in the context of postural control. Learn strategies developed for examination and intervention regarding postural inefficiencies in order to repair and optimize movement dysfunction. Maximize your ability to differentially diagnoses during your functional screening. This will maximize your treatment time with your clients and optimally will produce better functional outcomes in a shorter period of time. Learn to identify the mechanisms responsible for inefficiency and injury during a client’ s first treatment session and develop evidence based treatment approaches. Foot and ankle assessment will be presented, including evaluation of rear and forefoot alignment, internal and external drivers of foot posture, and passive and active mobility testing. We are in the midst of a second running boom. 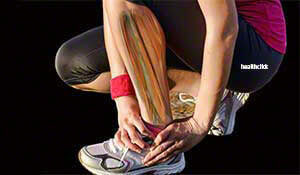 With the popularity of running exploding so too has an epidemic of injury. The expectations to get your runners back out on the road, trails, or track can be stressful for the sports medicine team, not to mention the client. It is essential to be up-to-date on the clinically relevant and evidence-based evaluation and treatment approaches for injured runners to maximize functional outcomes in a safe and timely manner. 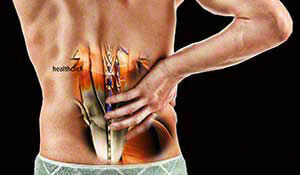 The SI joint and pelvic girdle can be the source of dysfunction throughout the entire body. 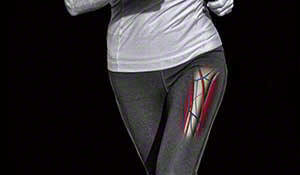 Faulty mechanics can lead to pain, limited motion and gait abnormalities. 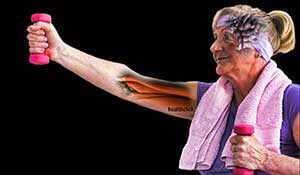 Treatment can be as simple as restoring muscle imbalance to performing joint mobilization to improve biomechanics. This course will instruct you on how to differential diagnosis specific disorders and develop and appropriate rehab program to restore function and mobility and decrease pain. The proper diagnosis of traumatic brain injuries and concussions is essential for optimal recovery in a timely functional manner. The number of reported concussions has doubled in the last 10 years, and if left untreated, serious brain damage and even death can occur. Furthermore, many symptoms of concussions are often missed, which leads to an incorrect diagnosis, decreased quality of life and an increase in medical conditions as the patient ages. This comprehensive, evidence-based course provides the clinician with the information to perform a proper differential diagnosis examination and develop an appropriate rehab program to decrease symptoms and improve function. Evidence based research has proven that Pilates can improve functional outcomes in a variety of dysfunctions from orthopedic to neurological, acute to chronic. This continuing education course will discuss the application of the Pilates principles and exercises will be discussed for orthopedic, neurologic, and geriatric patient populations. Utilizing coordinated motion will enhance the neural processing and improve muscle coordination and strength and ultimately function! Over 8 million emergency room visits are attributed to balance and dizziness complaints. This course will prepare you to perform differential diagnosis examinations to effectively determine the source of the complaint. You will also be provided with the tools to effectively develop a progressive plan of care for successful outcomes. This hybrid (Responsible CME) course combines both online/DVD self paced training with live hands on training. Master the evaluation and treatment techniques on your own and then enhance your hands on skills in the live course. You will learn how to perform a differential diagnosis exam and apply the appropriate treatments to specific disorders to achieve positive outcomes. This course also provides a DVD so you can reference all of the techniques as you begin incorporating them into your clinical care. The information presented in this course, while vestibular in nature, is combined with a comprehensive, interactive laboratory component. Its focus is on the class participants' "Monday Morning" issues. The structure and function of the vestibular system are thoroughly discussed along with testing, diagnostics and intervention strategies to address a large scope of symptoms and diagnoses. When therapists return to their jobs on Monday morning, they will likely encounter patients with problems related to upright instability. Although these patients may not be diagnosed with vestibular disorders, they are indeed equipped with vestibular systems. Without basic knowledge of vestibular structure and function, therapists will likely miss a crucial element of the initial evaluation--one that could very well lead to more successful intervention outcomes.